We all want to keep our skin as healthy and hydrated as possible, and in the winter months this can be particularly difficult. Between brisk temperatures and dryness, keeping your skin nourished can be a real challenge. That’s why we’ve created the perfect lineup of face moisturizers to help you conquer the winter months. It’s time to put your best face forward! · IMAGE Skincare VITAL C hydrating water burst ($45; IMAGESkincare.com): Works like a tall glass of water for dry, sensitive and redness prone skin. Upon application, hydrating water bursts release a flood of antioxidants, hyaluronic acid, vitamins and anti-aging peptides to provide continuous refreshment to every single pore. 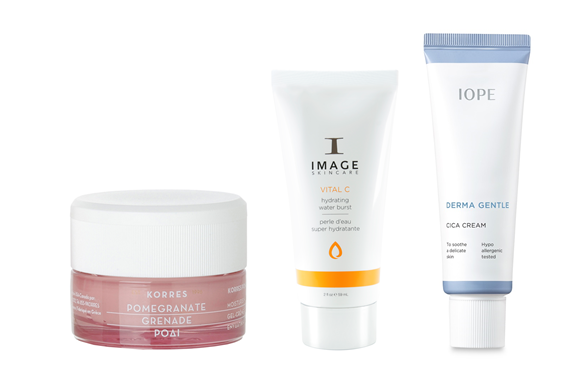 · IOPE Derma Gentle Cica Cream ($32; us.aritaum.com): Perfect for even the most sensitive of skin, this soothing cream can be used all over the face or as a spot treatment to improve dryness, irritation, and inflammation. Key ingredients of madecassoside, panthenol, and cypress tree extracts help to calm and strengthen the look of skin.